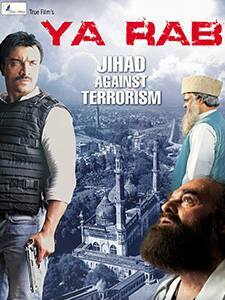 Directed by Hasnain Hyderabadwala, Ya Rab is a 2014 Bollywood drama. The film is produced by Mohsin Ali Khan, Meesam Ali Khan and Hoori Ali Khan and features Vikram Singh, Ajaz Khan, Manzar Sehbai, Akhilendra Mishra and Imran Hasnee. The film released on February 7, 2014 and it tells us the story about how Islam religion is misinterpreted and is used as a tool to propagate terrorism.